Contesting the “unaffirmed” inquiry report relying on which the Supreme Court held special CBI judge BH Loya to have died of natural causes, the Bombay Lawyers Association (BLA) has filed a review petition. It pleads for recall of the verdict in the petitions seeking an independent probe into the “mysterious death” of the judge who was hearing case in which Bharatiya Janata Party chief Amit Shah was a prime accused. Loya died during the intervening night of 30 November and 1 December, 2014 while he was on a visit to Nagpur. 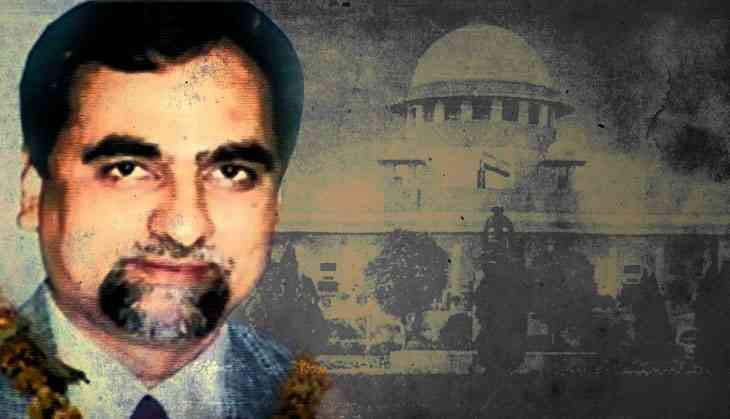 Taking over the Sohrabuddin Sheikh fake encounter case after his predecessor judge JT Utpat was suddenly transferred, Loya had questioned Shah’s absence during the hearing of the sensational case. Within a month of Loya’s death, Shah was discharged by the CBI court. An apex court bench of Chief Justice Dipak Misra and Justices AM Khanwilkar and DY Chandrachud, on 19 April had dismissed the petitions seeking an independent investigation into Loya’s death and warned the petitioners for abusing the process of public interest litigation (PIL) for political motives. The bench had castigated the petitioners which included the BLA for scandalising the judiciary and casting aspersions on the Administrative Committee of the Bombay High Court. The BLA in its review petition has asserted that its petition seeking a probe into Loya’s death, was not filed to attack the independence of the judiciary. “The petition was, on the contrary, filed bona fide and to protect the independence and integrity of the great Institution of Judiciary. The Petitioner Association has categorically averred to this effect its Writ Petition. No counter affidavit was filed on behalf of the State of Maharashtra to dispute these statements or to doubt the credibility of the Petitioner Association,” it said. Pressing for review of the verdict, the BLA contested the court’s reliance on the inquiry report of Sanjay Barve, the Director General and Commissioner, (Maharashtra) State Intelligence Department. The discreet inquiry contained statements by judicial officers including high court judges and affirmed that judge Loya had died of heart attack. “If the report was so sacrosanct, there was no need for hearings of these petitions,” the BLA said in the petition contending that statements on which the report was based were required to be assailed and the petitioners were not given the opportunity to cross-examine. “Questioning the veracity of the statements of the judges was an inevitable result from the fact that they chose to give the statements. Such questioning does not amount to either disrespect of the judges much less a wanton attack on the independence of judiciary. The review petition also questions the court’s disregard for the articles by Caravan magazine about Loya’s family members suspecting foul play behind his death and making shocking revelations, including a bribe offer of Rs 100 crore to a top Maharashtra judge in return for a favourable judgment in favour of Shah. “The court ought not to have discarded newspaper articles without ordering an independent inquiry to look into the same. “The hurried enquiry by a police officer, howsoever high in ranking, is clearly insufficient in the facts of the case,” the BLA said asserting that court was erroneous in discarding the reports by Caravan. The BLA has raised several questions regarding the discreet enquiry that was ordered by the Maharashtra government in the aftermath of the Caravan reports. “If the inquiry was being ordered by the State Government on 23 November following publication of Article on 20 and 21 November, how was it that the Commissioner, State Intelligence wrote to the Bombay High Court stating the names of the four Judicial Officers and two High Court Judges for recording their say. “This clearly vitiates the inquiry since the inquiry officer had clearly made up his mind and was being guided on specific lines. There is therefore, serious error on the face of the record necessitating review of the judgment,” it argued. It further stated: “Equally the gathering of the material in the matter as done by Commissioner Intelligence was clearly improper and unwarranted by merely seeking letters in an extremely short time without personally meeting the concerned judges and other persons whose letters have been obtained”. “The collection of the letters by Commissioner Intelligence does not bring truthfulness in the inquiry but shows an attempt to somehow collate and collect the letters to prepare a hurried report which indeed was done on 28 November. “It is submitted that this manner and method was sufficient for discarding the inquiry report and this Court has committed serious error in not only relying upon the same but approving its contents and conclusions,” contended the BLA. It said the dismissal of the petition was manifestly wrong and subsistence of the judgment is injurious to the public interests and larger good. “The impugned judgment has resulted in miscarriage of justice if not complete negation of justice on the facts of the case. It is therefore clearly required in the interests of justice that the judgment and order in question be reviewed and recalled. The review petition also states that part of the judgment in which the apex court has made adverse remarks against the petitioners and their lawyers should be deleted.